City Edge is a convenient accommodation with premium hospitality. 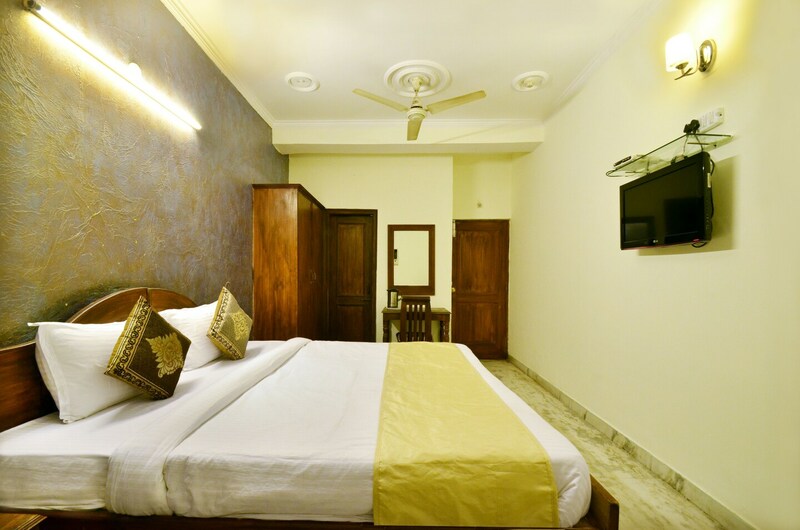 The rooms are elegantly designed with basic and modern amenities for the comfort of the guests. The textures on the walls add a glow to the overall charm of the room. Power backup and CCTV cameras ensure the security of the guests. Guests are also entitled to use free Wi-Fi service to stay connected to social media or to complete their pending work. Geyser and parking facility is also provided for the convenience of the guests. The hotel is also located near many famous attractions where guests can visit and enjoy the beauty of the city.